It is a symbol that we see all over the place. People wear it as if it is something beautiful, and it is when it is made out of gold, silver, or platinum. But the symbol itself is something that reminds us–or should remind us–that it is most likely cruelest way to put someone to death. It is the Cross. Romans perfected what the Persians started. They began to place people on crosses as a form of corporal punishment. It begins with nailing the person’s hands (wrists) and feet to the cross then they pick up the cross and plop it down into a hole. There the person who is hanging on the cross begins to suffocate from the weight of himself. His lungs fill up with fluid and eventually the person dies an agonizing death. Much of the time, the person on the cross was beaten prior to being hung on the cross so they were already weakened to the point of exhaustion. In Jesus’ case, He went to the cross willingly. 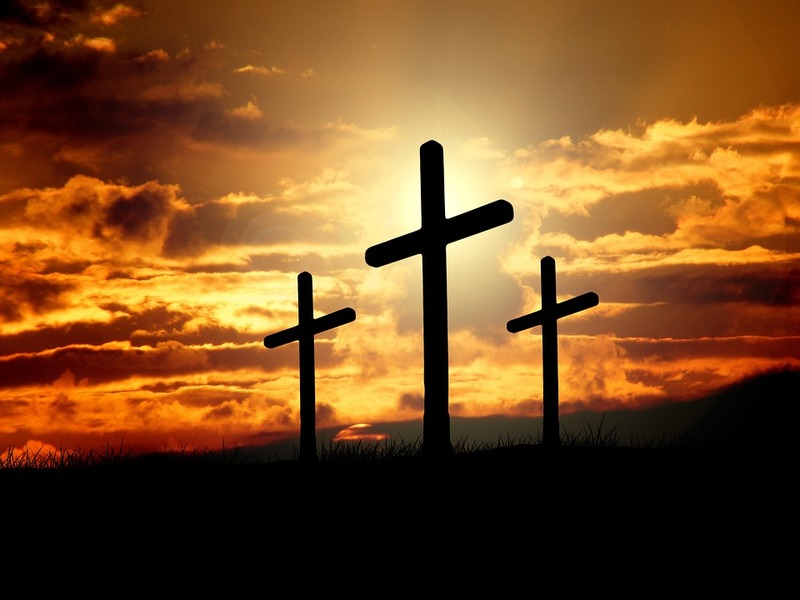 He did this for the whole world because God so loved the world that He gave His only begotten Son, that whoever believes in Him should not perish, but have everlasting life (John 3:16). Jesus went to the point of death so that we might have life. He traded His crown of glory for a crown of shame. And what was that shame? It is my sin…it is your sin…it is the sin of the whole world. He died so that we might live. And praise God that the story doesn’t end with such a cruel picture of a cross, but rather, it begins when Jesus Christ is resurrected from the dead! Through His resurrection we have eternal life. Through His resurrection we have abundant life. Through is resurrection, we have now a passage from this life to the next knowing that we shall see Him for who He is in all of His glory and we will dwell in the house of the Lord forever (Psalm 23:6). If you do not know Jesus Christ, let me know and I can tell you how you can know Him as Lord and Savior. He died according to the Scriptures on a cold, cruel cross. He was buried. However, He was resurrected according to the Scriptures three days later. Believe Him. Know Him. Love Him.